Leadership Vision … Does Your Vision Need Correction! Leadership Vision … how clearly do you really see? Poor vision typically results from one of these three causes: You may be nearsighted (the inability to see things clearly that are far away), farsighted (the inability to see things clearly that are close), or an astigmatism (a blurred area within an otherwise clear image). If you are suffering from one of these issues, an optometrist will prescribe lenses to so that your vision can be corrected. The same principals apply to Leadership Vision. Leadership Vision is your ability to see yourself, your people, and situations, clearly so that you can lead more effectively. However, if your Leadership Vision is blurry or if you have blind spots, you are probably bumping into things that are negatively impacting your ability to leader others. Nearsighted Leadership Vision: Leaders who are nearsighted have a tendency to get stuck in old patterns and old ways of thinking. They can only see things as they are and struggle to think outside the box and see what things could be. We refer to this as being short-sighted or an inability to see the forest from the trees. These leaders have a tendency to think more tactically and less strategically. They need to push beyond their comfort zones and what they’ve always know or done. These leaders need to involve others in brainstorming sessions and ask questions that start with “What if … ? What if we tried something different? What if we couldn’t fail … what would we do then? 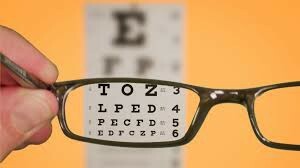 Farsighted Leadership Vision: Leaders who are farsighted have a tendency to gloss over the details. They can overlook the “real” issues and may end up treating the symptoms instead of the dis-ease. They have a tendency to think strategically and less tactically and so things sometimes fall through the cracks. These leaders need to slow down and identify the real issue or the underlying cause. They need to ask more questions and listen far more then they talk, so they can get buy-in. Ask questions like … What happened? Can you say more about that? Can you give me a little more detail? What do you think is the cause of the issue? How do we prevent this from happening again? Leadership Vision Astigmatisms: Leaders who are afflicted with an astigmatism have a blind spot or blurred area within an otherwise clear image. This prevents them from seeing the whole picture. Favoritism, an over-inflated sense of self (ego & pride), a refusal to adapt their style to the style of others, or moving so fast they step on themselves and others, are just a few blind spots that can trip them up. These leaders need to regularly check-in with a few trusted advisers that will give them straight, no fluff feedback, so their blind spots are brought into sight. A series of three questions to ask for feedback: A) What works about me as a Leader? B) What doesn’t? C) What is the one thing I could do that would have the single most positive impact on my effectiveness as a leader? The idea is to write down what they say, don’t respond or defend, and then simply say “Thank You!” Period … the end. So how clear is your Leadership Vision? Are you seeing things clearly? Do you have an astigmatism that is impacting your effectiveness at work? At home? Do you balance both the tactical as well as strategic when analyzing a situation? If you need a little more information or some help in seeing yourself more clearly click here?